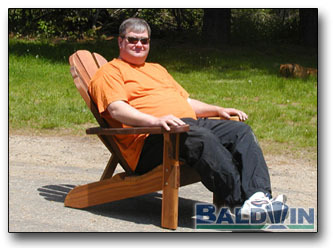 Our chairs have been appreciated over then past fifteen years by the old and young, slim and husky. It makes my spirits soar when I see that look of "I Found It!" on a customers face. It's really great when an expert craftsman pays us the ultimate compliment: Purchasing a full set.